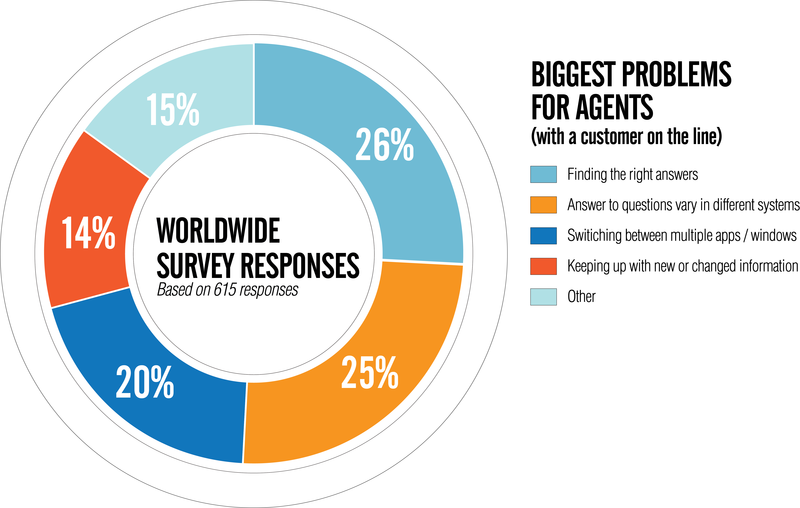 The survey was administered online to contact center agents in the US, Canada, UK, Ireland, and the Asia Pacific region in the first calendar quarter of 2017 through SurveyMonkey®. 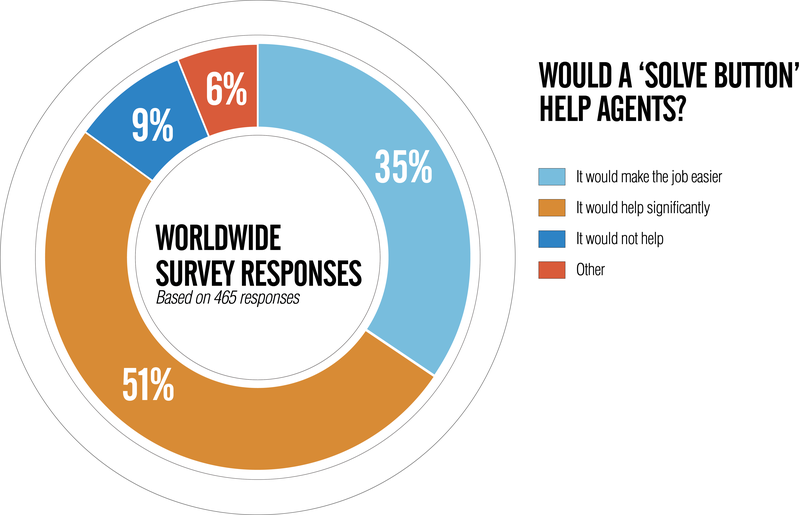 Respondents were asked to pick up to two pain points, and findings were compiled from 615 responses. 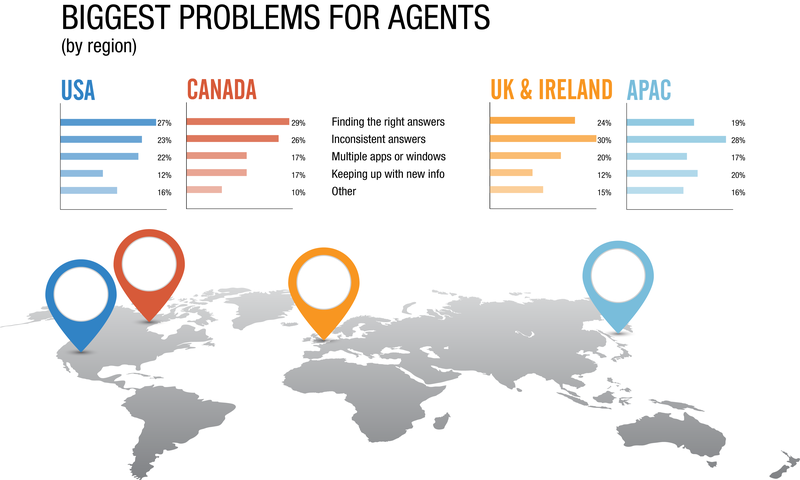 Not being able to find the right answers to customer questions turned out to be the top complaint by agents. The answers were similar when broken by region. Imagine you had a “Solve” button on your desktop that gets you quickly to answers or starts guiding your conversation or service process with the customer step by step? At the same time, the button would reduce the need to access multiple systems to do your job. How would you rate the value of such a button on your desktop?